Last Saturday I was fortunate to attend the Warehouse Fashion Shooters Festival event dedicated to Fashion and Photography. Which took place at the Loading bay gallery in Bricklane. More details of that will include in a separate post. 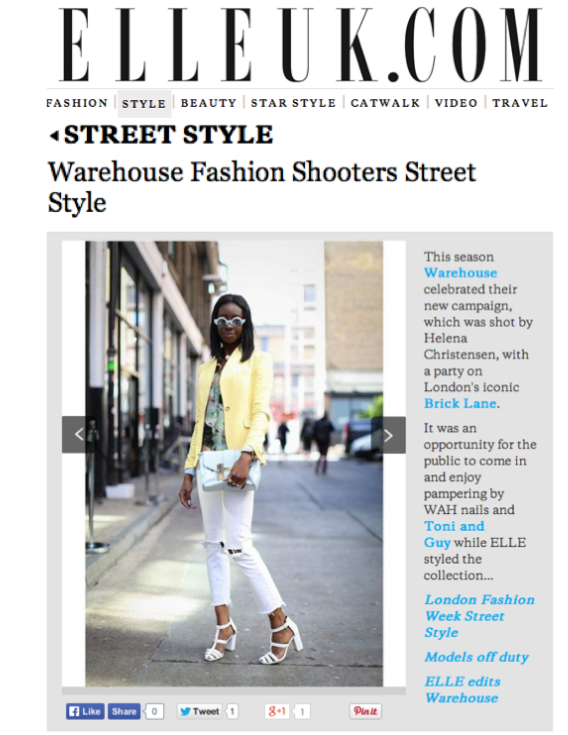 I also got photographed by Vicki Adamson from ELLE UK Magazine for Warehouse Fashion Shooters Street Style. Thanks to the guys at Platform Creative for informing me of this feature! Great feature. Such a killer outfit and you just ooze style!